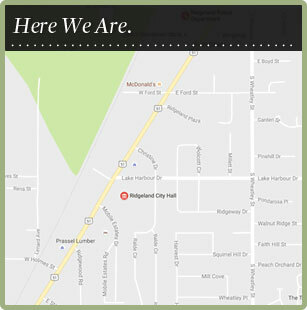 The City of Ridgeland has released its quarterly publication, Ridgeland Life. The Fall 2014 issue is full of news and information that will help you become, or remain, a citizen “in the know”! Get the scoop on the new change in leadership at the Ridgeland Police Department. On the inside front cover, enjoy a letter from Mayor Gene McGee to you. Gain insight into important projects that are going on behind the scenes and even underground! If you missed the unveiling of Ridgeland’s historical marker, you can get caught up in this issue. We also tell you all about the best girl’s softball player in Mississippi who is from right here in Ridgeland. Be sure to check out RECRE8 for a full listing of recreational facilities, city-sponsored events, athletics, superstar senior programs and Ridgeland Tennis Center information. There’s always a lot of recreation happening in Ridgeland! In the schools section, you will find inspiring stories about local students, teachers and administrators. Don’t miss news from the Ridgeland Public Library about upcoming programs and their fall book sale. The Ridgeland Chamber of Commerce shares their line-up of fall events including Ridgeland Under the Stars.